I'm running behind this week... it was bound to happen eventually :) Here's another Valentine! I used the paper piercing tool and templates to punch faux stitching on the die cut circle and along the bottom edge. 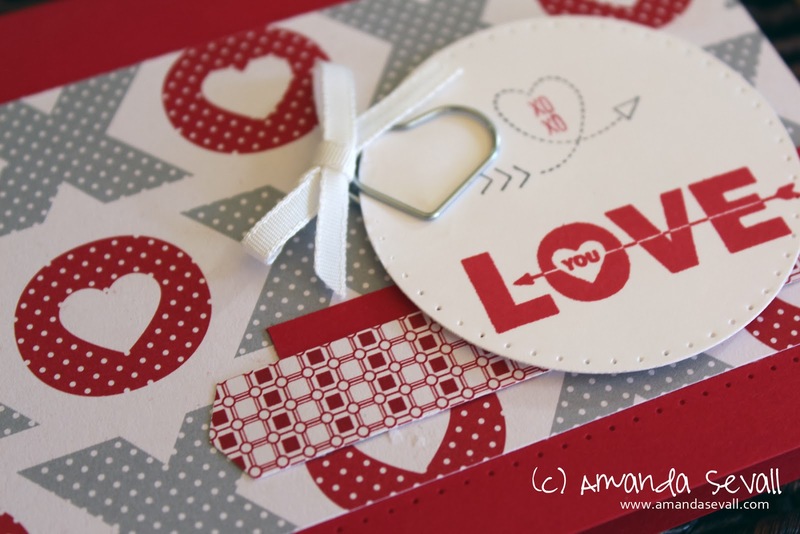 Simple, cute and scraps of patterned paper put to good use. Another Valentine done!